The Department of Health (DOH) spearheads the 5th Neglected Tropical Diseases (NTD) Forum in Cebu City with the theme: “Evidence Based Technologies to Accelerate the Gains of NTD Elimination, A New Hope”. The forum affirms that through the newly established Philippine Health Agenda, shared vision, process of national and local interface and public-private partnership, addressing a health and development issue such as NTD will be attainable. “We have gone a long way since we started our first NTD Forum in 2012. So far, it has paved a way in forging strong partnerships resulting to triumphant stories on NTD elimination. To date as of 2016, 10 out of 28 provinces have reached the goal of eliminating schistosomiasis as a public health problem. 35 out of 45 endemic provinces have eliminated lymphatic filariasis, Forty one (41) areas were declared rabies-free and 17 out of 79 surveyed provinces have reduced the prevalence of soil transmitted helminthiasis to less than 20% while leprosy maintained the national elimination at less than 1 per 10,000 population. Hence, it is high time to recognize the sustained efforts and contributions of our local government units and communities, the academe and research institutions, the Department of Agriculture, the Department of Education, the Department of Interior and Local Government as well as our development / international partners and of course my DOH family. Year after year, through the Stakeholders Forum, we were able to deepen our understanding of the many issues and challenges we are faced with at the same time acknowledging the need for a collective response and finding solutions together. We continuously move forward with a shared vision: “End NTDs by 2030”, Health Secretary Paulyn Jean B. Rosell-Ubial explained. According to the World Health Organization, Neglected Tropical Diseases (NTDs) are diverse group of communicable diseases that prevail in tropical and sub-tropical conditions in 149 countries which affect more than one billion people, costing developing economies billions of dollars every year. They mainly affect populations living in poverty, without adequate sanitation and in close contact with infectious vectors and domestic animals and livestock. In the Philippines these includes: leprosy, rabies, schistosomiasis, filariasis, soil-transmitted helminthiasis, and food and water-borne diseases. DOH emphasized that four areas will be concentrated in order to diminish NTDs: (1) Interrupting transmission through continuous collaboration with national government agencies like the Department of Agriculture in the dog vaccination program, interrupting rabies transmission. (2) Elimination of Stigma by stressing that people affected with NTDs need not be alienated because of their disease (3) Halting the Progression of Disability by administering annual check-up nationwide among the poorest of the poor, enabling early detection and treatment for such diseases; and (4) Overcoming the Effects of NTDs, DOH will continue to identify those who have potential exposure to NTDs and in return, they will be provided with preventive chemotherapy which have been fruitful in the DOH’s campaign against schistosomiasis. 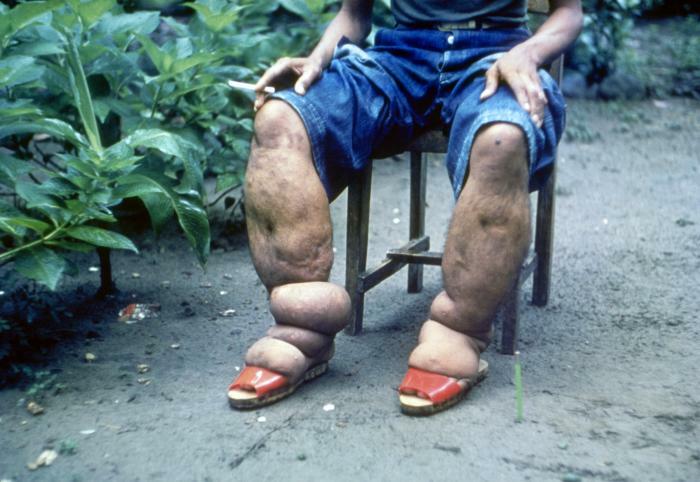 Soil transmitted helminthiasis and lymphatic filariasis. “I would like to congratulate each and everyone who has contributed to the movement to end NTDs. I have always believed that health is everybody’s concern, not just the government but the whole society. Together, let us continue to march towards our goal of a healthier and more productive Philippines for the next generation to come. Let us commit ourselves to work towards one shared vision: All for Health towards Health for All!” Secretary Ubial concluded.